COMMENTS: normal series from 1994 to 2009. 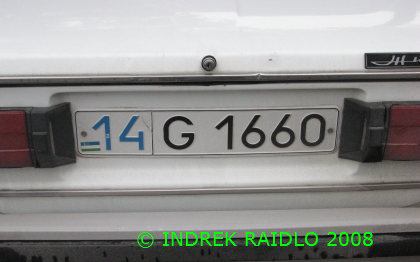 Plate style from 1994 to 2009. 30 in blue = Tashkent city (from 2001 to 2009). COMMENTS: normal series from 1994 to 2009. 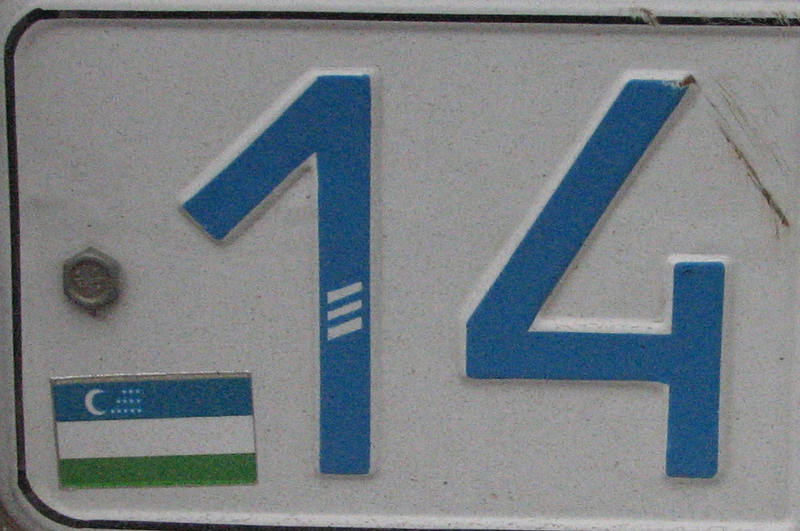 Plate style from 1994 to 2009. 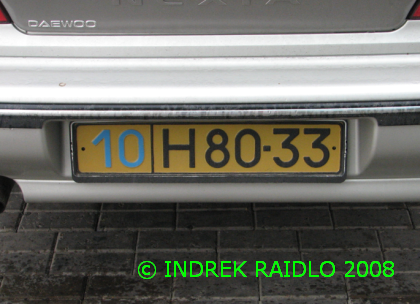 Uzbek flag was added to lower left corner of plates just before introducing completely new system in 2009. 14 in blue = Samarkand. COMMENTS: diplomatic series from 1991 to 2009. 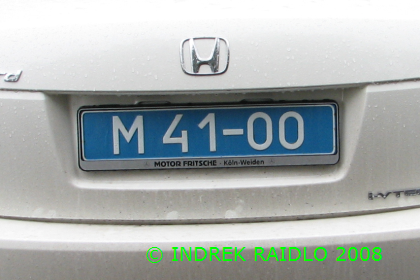 Plate style from 1991 to 2009. T and white on green = technical and administrative personnel. 07=Russia. COMMENTS: diplomatic series from 1991 to 2009. Plate style from 1991 to 2009. M and white on blue =foreign companies. No coding. COMMENTS: foreign residents series from 1995 to 2009. 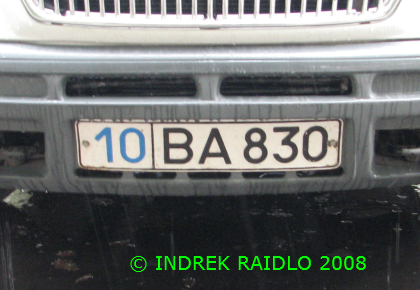 Plate style from 1995 to 2009. 10 in blue = Tashkent city (from 1995 to 2001). 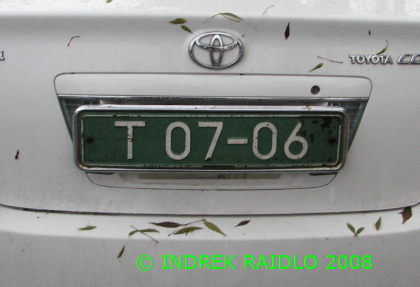 COMMENTS: state owned vehicle's series from 1997 to 2009. 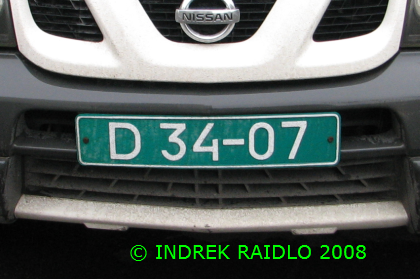 Plate style from 1997 to 2009. 10 in blue = Tashkent city (from 1997 to 2001). 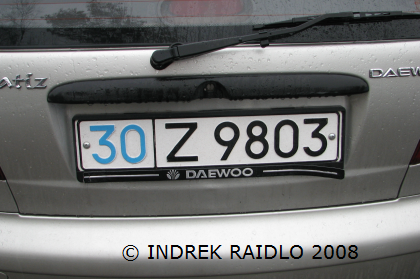 COMMENTS: state owned vehicle's series from 1997 to 2009. Plate style from 1997 to 2009. 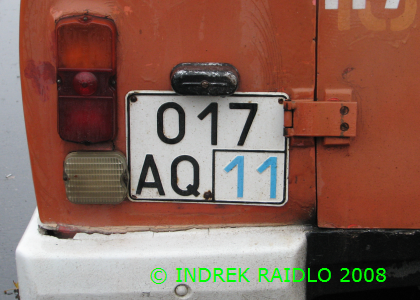 11 in blue = Tashkent region. 1) Panel with Uzbek national flag.